Welcome to Juggleboy's Fan Club! 9 sticks-11 catches(9 catches clean) - Tied world record! Q: How long have you been juggling? Q: What/Who got you started? Q: What do you plan to do with your talent? Q: Which prop is the most difficult to juggle? Q: What's the most you can juggle? Q: Can you juggle chainsaws? A: I could, but I like my arms. Q: Is the knife you juggle sharp? Q: Are you a clown? Q: Do you(or are you going to) juggle in a circus? 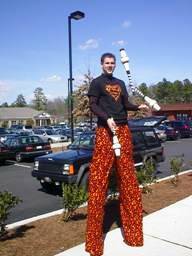 Q: What kind of juggling props do you use? A: For balls-I juggle Gballz. Very durable, and have a nice feel. 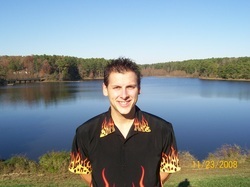 A1Fun is the official website to book Chris "JuggleBoy" Fowler. If Chris is open, he would be glad to be thankful for the opportunity to perform at your event. He appreciates all inquiries. Chris is always 100% family friendly and can adjust his show to entertain any age group. Thank You!